A tense and atmospheric romantic thriller set in Corfu. Val Baker, tough but loving, restores musical instruments, but her relationship with her Greek-Italian family on Corfu is broken beyond repair. 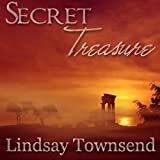 When she is commissioned by her old friend Alexia to restore a rare giraffe piano, she returns to the island to find her dreams haunted by memories of Hilary, a young English girl raped and murdered 10 years before. Val determines to uncover the truth about the case, and set to rest her own doubts about the involvement of her father, Yiannis, and half-brother, Markos, both policemen who were involved in the original investigation. Joined by her friend Harry, Val begins to unravel the threads. Then two strange tokens arrive, one for Alexia's daughter Chloe and one for Val, and it becomes clear that Hilary's unknown killer is on Val's trail. Her search for the truth becomes a race for life.